Stunning Volkswagen Golf 2.0 TDI DSG finished in silver with 1/2 suede and 1/2 black cloth. Most recent service 14/1/2019 with new brake pads and 2 new cam belts. Silver, 4 owners, £3,995. Has MOT and both cam belts changed. Very good value for money. 68K LOW mileage. Recently serviced (£92 Value). Rear disk pads recently changed (£200 value). Years Mot Done 2 Weeks ago with No Advisories. Timing Chain Replaced Last Week - With Receipt! 2 New Tyres on Front. No Warning Lights on Dash. 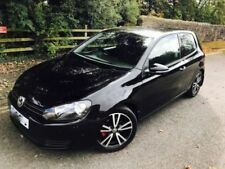 2014 VW Polo Match Edition 3dr 1.2 Petrol Facelift Mk5. 01 March 2002 VW Golf GT TDI150 (PD150). 150bhp six speed manual, 3-door MkIV Golf hatchback. And, it’s the rare and cool three door version too. No rust, good tyres and nice original wheels. The car isn’t and hasn’t been mapped like many and is in standard tune. Listed elsewhere so may be removed. MK5 Golf GTI in Tornado Red. Cat D repaired. Handles and accelerates brilliantly. MOT (26th Feb 2020), only advisories were two tyres of which have been replaced with pilot sport 2s (£195). Good cheap performance. ALLOYS AIR CON PAS AIRBAGS E/F/WINS C/LOCKING IDEAL ! I have enough MK1 parts to build two golfs including wiring loom, two dashboards lights the list is endless. The front arches have been rolled but not fitted of yet. Car would need to be trailered away due to none running. MOT UNTIL DECEMBER 2019. GENUINE 40,180 MILES. Loads of work and TLC done. Bits done in the last 6 months include. Good Points Rest of car is really good very very minor rust as shown which does reflect its age. MOT UNTIL 5/5/2020VW UP GROOVE UP VEHICLE SPECIFICATION FENDER PREMIUM SOUND SYSTEM. 16" GLOSS BLACK ALLOY WHEELS WITH VERY GOOD TYRES. NO WARRANTY. SOLD AS SEEN. MOT TILL 06/03/2020. MK5 GOLF GTI. I HAVE OWNED THIS CAR FOR A LITTLE OVER A YEAR NOW AND WHAT A JOY IT HAS BEEN. THE CAR HAS A GREAT SPEC AND HAS BEEN MODIFIED AND IS CURRENTLY RUNNING AT AROUND 285BHP. SPEC AND MODIFICATIONS ARE AS FOLLOWS:-. 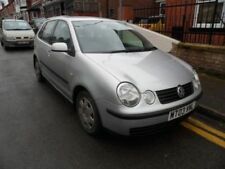 VW Golf 2005, Very Economical, Good condition inside and out. Vehicle is blowing white smoke and needs a new turbo. Vehicle drives very well and would pass MOT subject to new turbo. Vehicle will need to be towed away. NO I DONT WANT TO SWOP Very Clean example of vw golf gt sport 2.0 140 bhp covered 166000 miles with 12months mot and service last week car drives very well and bodywork is in good condition for its age there are what you would expect the odd age related bits but nothing dramatic. This car has been loved and maintained to the highest standard. The Turbo was changed 18 months ago and the cambelt and water pump last October. It has 12 months MoT and has just had a full service with all brake pads and discs being replaced. Trade car sales - Call us on 441215166131 or click here to find out more. 1999 vw golf 1.6. Car drives and handles well, but is in no way perfect. I’ll start with the bad. Small crack/stone chip on windscreen and one headlight. Had new alternator late last year. IO Talk handsfree installed, connect with Bluetooth. VW GOLF GTI 1.8T - 180bhp. IF YOU KEEP THIS CAR FOR ANOTHER FEW YEARS YOU ARE BUYING A SOON TO BE CLASSIC DUE TO ANNIVERSARY LIMITATION. RECENTLY CHANGED CHAIN/CAMBELT/WATER PUMP/SPARK PLUGS - AND I HAVE RECEIPTS TO PROVE THIS. 2 L petrol, 5 speed manual. Few marks on back bumper (look at photos). Cash on collection only. Starting on a low price and with no reserve. This car starts and drives without problem. It does have the engine management light on and a very slight exhaust leak about half way back. Other than that there are no problems i have noticed. The interior is clean. I bought this car as a temporary fix until I could get my own car fixed and it is now no longer required. I do not have the time to get an mot for it so I am selling as is. Viewings welcome. A good solid car except for the gearbox. Has been regularly serviced and recently for the last mot had both front shock absorber changed along with front pads. MOT until August 2019. 4 previous owners, 3 within the family. Volkswagen Polo. SO GRAB A BARGAIN. Service History –. THERE IS NOT A BUY IT NOW PRICE. Viewings Can Be Made Mon-Tue 9am-5pm Wed-Sat 9am-4pm. This Vehicle Is Sold As Seen As A Trade Sale With No Warranty Given Or Implied. Here I have for sale my Mums VW Polo 1.2L. Service wise, the car has had regular services. Its not perfect, and there are a couple of scrapes which I have included close up photos of. Its also needs a jolly good clean, having been sat outside her house. New listing2009 golf TDI Match edition 121000 miles. Full service history. Very good condition, £500 recently spent.New car purchase need to sell.